Chuck Link sent me this WBKO 13 Kentucky footage from a MSPA Tournament at Slick Fox Adventure. The clip features Nashville Ridgerunner Chip Herbert and Slick Fox Adventure owner Tad Taylor. Team Slick Fox patch c. early 90s. 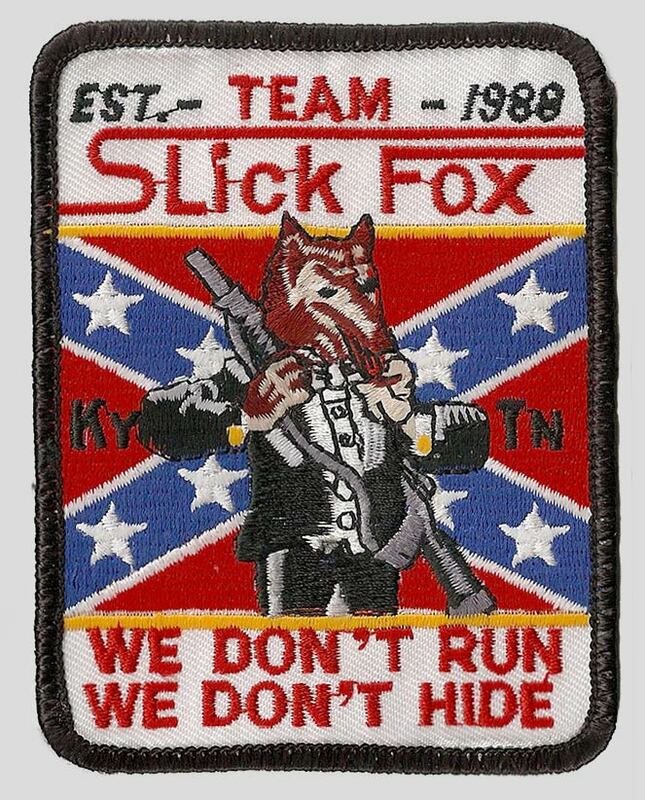 Slick Fox Adventure Game and Team Slick Fox were both run by Tad Taylor out of Bowling Green, Ky. 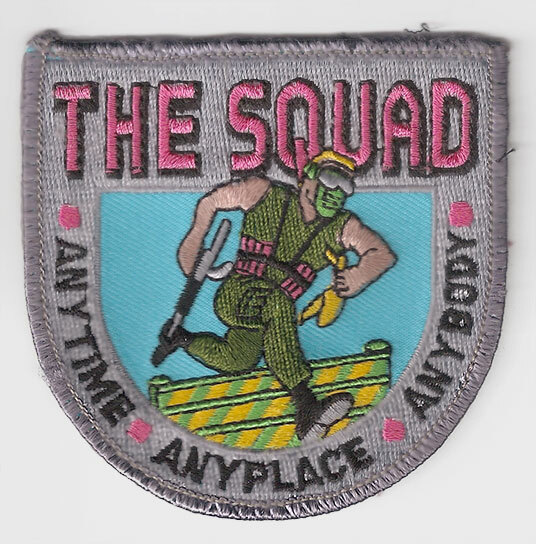 The Squad was another MSPA competitor from the mid 90s. This patch came from Chuck Link. Thanks to Chuck for sending me this clip. Chuck Link closely examines Bud Orr Sniper 1 #21, a gift he received from Bud in 2016. #21 was one of Bud's personal paintguns and a test marker for WGP. Music City Hooters Night Owls' write up scanned from the October 1991 issue of Action Pursuit Games.